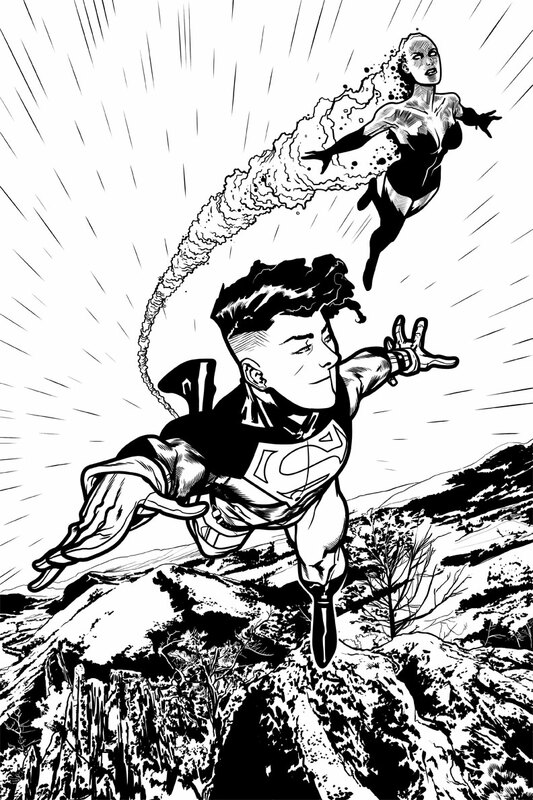 Taken from the 1996 series Superboy and the Ravers this is the very first page of art I did for the series. The original shows many of my old mistakes. A certain kind of wonky anatomy and the landscape is wholly unbelievable. My new entry was completed in less time, is inked and the characters for the most part are much more solid. The basic layout of the page hasn’t changed in the least but the differences in execution is remarkable. Completed 02/27/2014 using Manga Studio 5.